Matsumoku Industrial was established around 1900 as a woodworking manufacturer. However the company is best known for the guitars and basses it built. Shortly after WWII the Singer Corporation established a division known as Singer Sewing Machine Company Japan and contracted Matsumoku to build sewing machine cabinets and furniture. This opened up business with other companies looking for inexpensive wood procucts, such as cabinets, chairs etc. The company then ventured into musical instrument production in the mid 1950’s and built guitars that typically classical versions, violins and other steel string instruments. Due to competition, Matsumoku set out to build instruments of high quality, basing their designs on non domestic instruments from other companies of this era. In the 1960 woodworking machines had greatly improved. The newer technology allowed enhanced production. The world took note and Matsumoko was contracted to build guitars and guitar parts for other companies. This is known as jobbing. Matsumoko either built or sold parts to Vox, Greco, Yamaha, Aria, Norlin/Gibson, Univox, Westbury and Washburn. The large music conglomerate, St. Louis Music Company contracted with Matsumoku to build it’s line of Univox, Electra and Westbury brands. 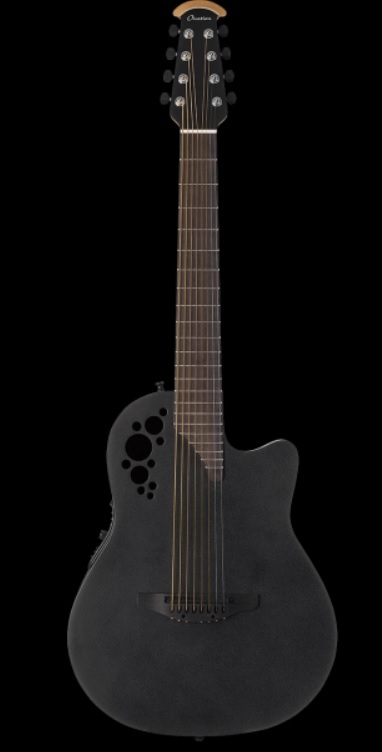 Matsumoku also built it’s own guitars using the Westone brand. The Matsumoku Company formed a relationship with the Arai Company of Japan. This company built mostly classical guitars. Their name was later westernized to Aria. In the mid 1960’s the companies teamed up to produce instruments under the Guyatone brand. Aria’s expertise was in domestic production, exporting and sales, while Matsumoku’s primary concern was production. 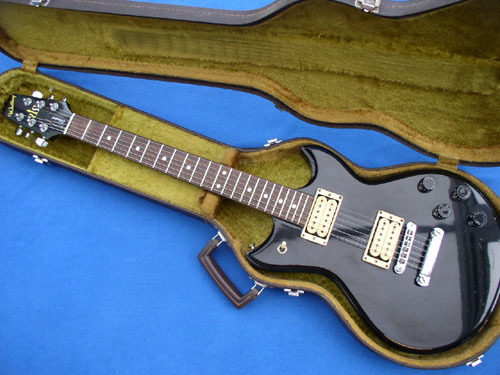 In the early 1970’s Gibson made a bold move to move their production of Epiphone guitars to Japan. They could produce instruments based on Epiphone designs, but sell them at a much lower price due to cheaper labor costs. Gibson hired Aria to do the job. In turn, Aria hired Matsumoku as a subcontractor. So Matsumoku essentially built most of the Epiphone line of higher quality instruments such as the Sheraton, Riviera, Casino, Emperor and Flying V.
Many of these instruments started out with bolt-on necks. 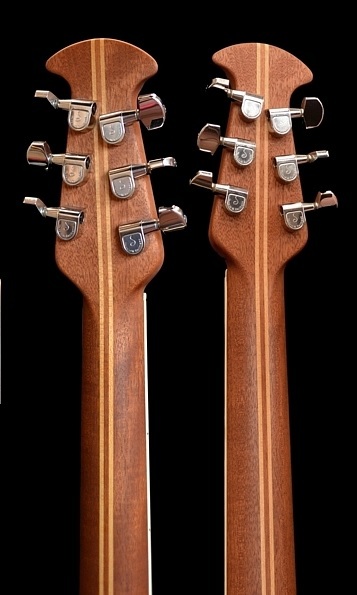 Because of the tradition of U.S. made Epiphone guitars using set-in necks, by 1975 Matsumoku changed the specification and began producing set neck instruments. In the late 1980’s Singer Sewing Machines Corporation was bankrupt. This caused Matsumoku became a liability. Gibson/Norlin moved it’s operations to Korea, due to cheaper production costs. These factors caused Matsumoku to cease production and went out of business. In the early 1960s the Unicord Corporation was manufacturing electronic transformers. This lead to the purchas of a Westbury New York company called the Amplifier Corporation of America. Through this acquisition, the company started a line of Japanese produced guitar and bass amplifiers sold under the Univox brand. Later on the company also sold guitars that were primarily copies of United States instruments. This lead to lawsuits. However, due to price point, the sales were brisk. In 1975 the Gulf and Western Company, looking to diversify, purchased Univox. 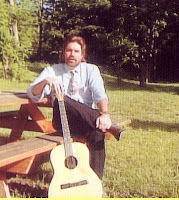 Guitar production remained with Matsumko. However the Westbury brand was made in Korea. Univox was dealt a blow when the Matsumoku company had a large fire in their production plant. Gulf and Western sold their interest to the Korg Corporation which ended Unicord/Univox. Westbury guitars were sold by a company in Westbury, New York called Music Industries Corporation. This was the demise of Univox. Univox’s claim to fame was their “lawsuit” instruments. These were replicas of guitars made by Gibson, Rickenbacker, Dan Armstrong, Fender and Mosrite. Lawsuit guitars are a whole ‘nother story that is very complex. I recall seeing and playing some of the lawsuit instruments in two different music stores back in the 1970’s. Wert Music was located in Erlanger Kentucky. The had a Les Paul copy and a Gibson EDS-1275 (six string – twelve string double neck) copy in stock. Both guitars were inferior to the domestic Gibson models. The EDS -1275 was poorly set up with the strings at least a half an inch above the fretboard. 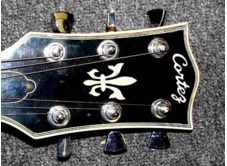 Both models appeared to be authentic but for the name on the headstock and the bolt on neck plate. Shortly after this a Music Store in southern Indiana had just opened and advertised a Fender Stratocaster-style guitar selling for $99. I drove out to take a look at it. It was vastly inferior to any Fender product. 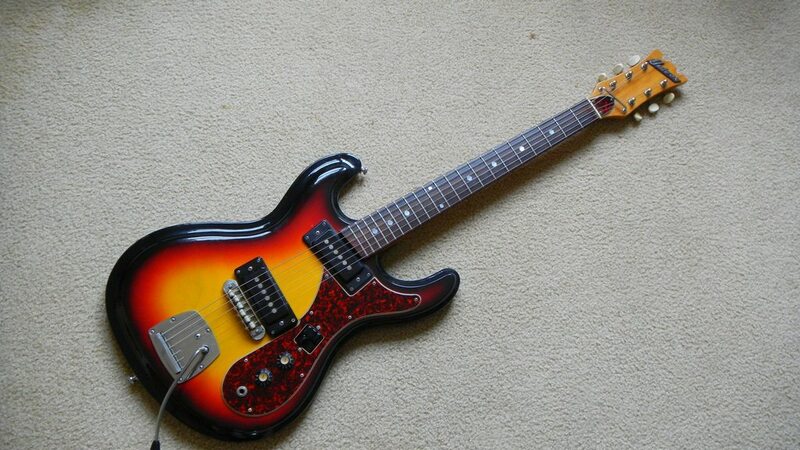 However there was also a Univox Hi-Flyer model that was an excellent copy for around $200. Fender, Gibson and other United States manufacturers all have moved into Asia and Mexican markets for some of their production, which proves the saying, "If you can't beat 'em, join 'em." I am dedicating this to my friend Michael W. Cristiani, who passed away unexpectedly on May 31st, during the time I was writing this article. I have known Michael since the mid-1970's when we went to the same church. He was a great husband, father, and one of the brightest men I have ever met. Though he was not a musician, he often sent me information about guitars, and corresponded with my wife. He will be missed by all that loved him. I could not believe the responses, which went from “Get a real guitar” to “Why would you want to play that #$%^&!” There were other comments. All of the hate comments concerned the guitars round back; the one that Ovation calls a parabolic bowl, that was built to better to project sound. 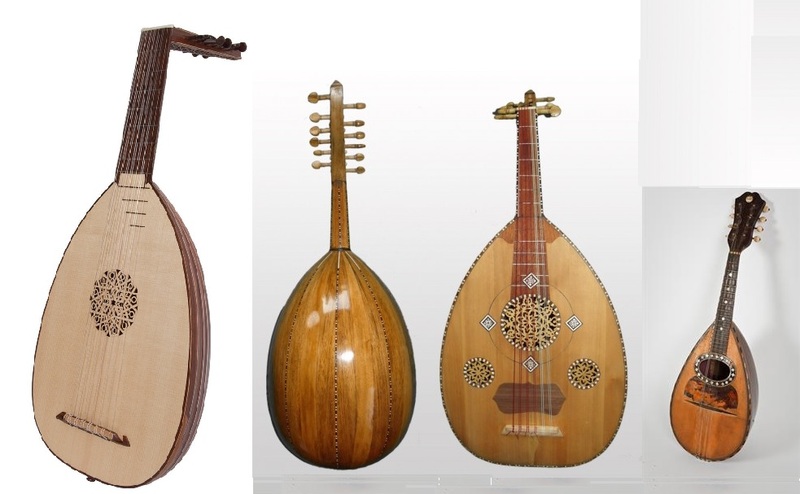 The design was loosely based on that of ancient stringed instruments such as the lute, oud, and the Neapolitan mandolin. Most of those that commented apparently preferred a wooden back. They blatantly disregarded the rest of the guitar; i.e. solid wood AAA Sitka spruce top, 5-piece laminated neck, unique specially designed sound holes, and the best piezo pickup system of the day. About 10 years ago I got to see Al Di Meola present a demonstration of his personal Ovation model. The guy loved it. Di Meola said that he owned a lot of guitars, including some very collectible Martins. But for concert work, he preferred the feel of the Ovation neck, and really liked the string-through bridge for his style of playing. He could mute the strings with his palm, and stated he could not do this in the same manner with a pin-style bridge. 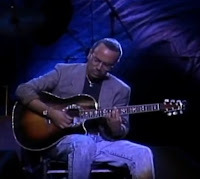 I will say that Al Di Meola was schooled at Julliard, and studied classical guitar there, which is another instrument that has no bridge pins. When I was only 14 years old, my best friend was an excellent drummer, and was a demonstrator for the Ludwig Drum Company. As a result of this, he was able to get two passes to the 1966 NAMM convention. 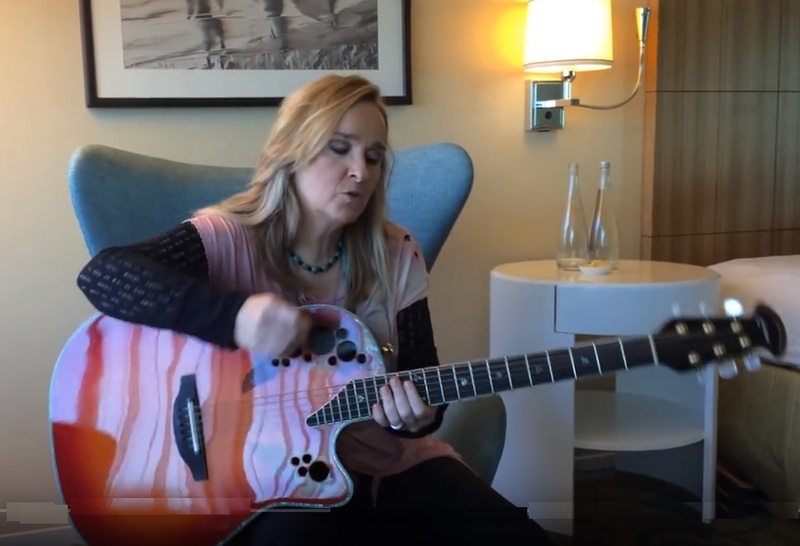 We saw a lot of new instruments over the two days we spent in Chicago, but one thing that stood out was the prototype of the new Ovation guitar. This instrument was different than the production models. 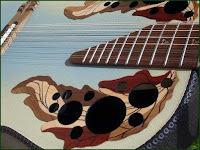 There was no fancy rosette around the sound hole, and the top of the headstock was flat, like on a Martin guitar, and the bowl on the back was smooth, and shiny. 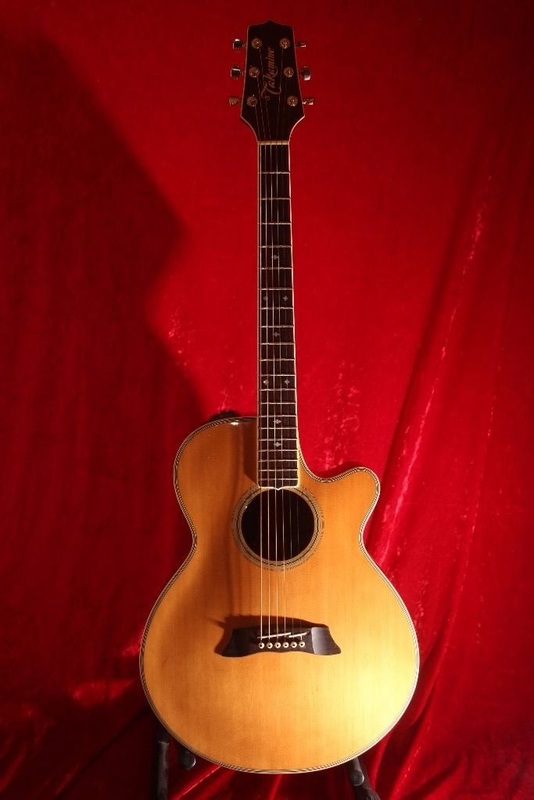 In fact the first Ovation was based on a Martin guitar. However the prototype did have the unique rounded Lyrachord back. It’s inventor was engineer Charles Kaman. He must have been a pretty good guitarist, since he was offered a job in Tommy Dorsey’s band. He turned it down, to pursue a career in manufacturing helicopters, and their parts. 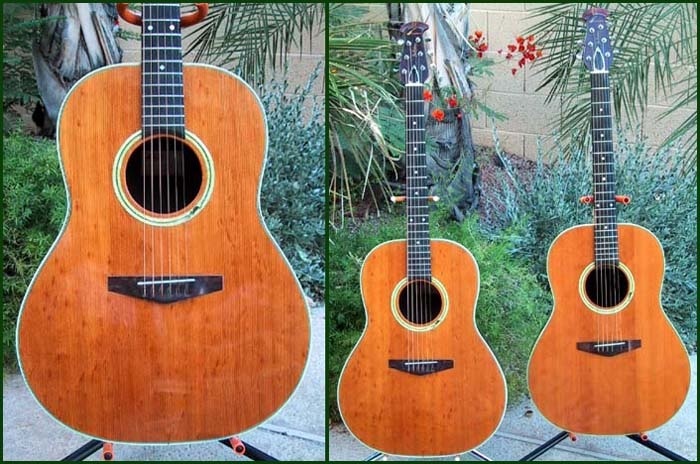 Kaman owned a Martin Dreadnought guitar that was in serious need of repair. Martin did not use adjustable truss rods until 1985. They started using a T-shaped steel reinforcement on the Dreadnought models in the 1930’s. Subsequently, Kaman’s Martin had a warped neck, and had developed some crack in the body. He took it to a repair shop. Charles Kaman - Kaman Aerospace Co. While watching the guy doing repairs with clothespins, clamps, and glue, his engineering skills kicked in, and he commented that he knew how to cut their repair costs in half. He could tool up the procedure, since his firm had been doing it for years on helicopter rotors. That is how the parabolic Lyrachord back came to being back in 1964. Contrary to the "Ovation Haters" opinion,he process did not just involve the back. Kaman engineers had already studied the torque and vibration of helicopters, and were able to put this information to good use regarding how a guitars top would vibrate, the resonance, and the mode shapes it would produce, and the effect of how the round back would project the sound. The first model was named The Balladeer, for a local folk group that were given some of the first instruments. After the group got a standing ovation, the guitar’s name was settled on; Ovation. 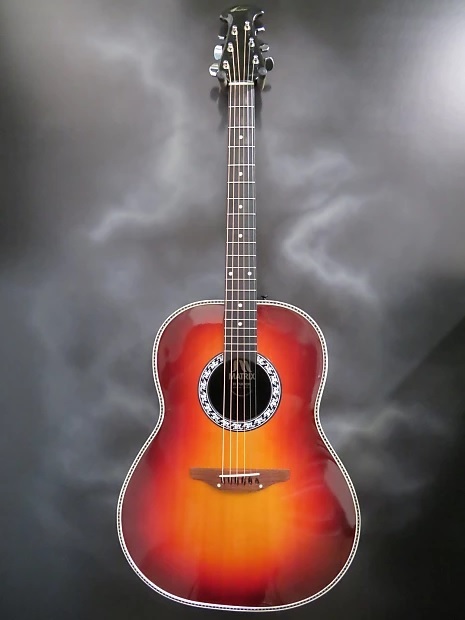 The first Ovation guitars had a shiny, and smooth back,as well as a rather plain rosette. Subsequent models had a rough, and grainy back bowl. The first guitar was designed by luthier Gerry Gardner in 1966. To prevent neck warping, the guitar came with an adjustable truss rod that was contained in an aluminum channel, and as an added measure, a 5 piece laminated neck to give it additional strength. The bound neck was topped with an ebony fretboard, that had fancy mother-of-pearl inlays. The second guitar that was produced; The Josh White model, had dot mother-of-pearl inlays. By 1973 Ovation was using it’s own 6 piece piezo pickup that sat in a saddle slot in the bridge. 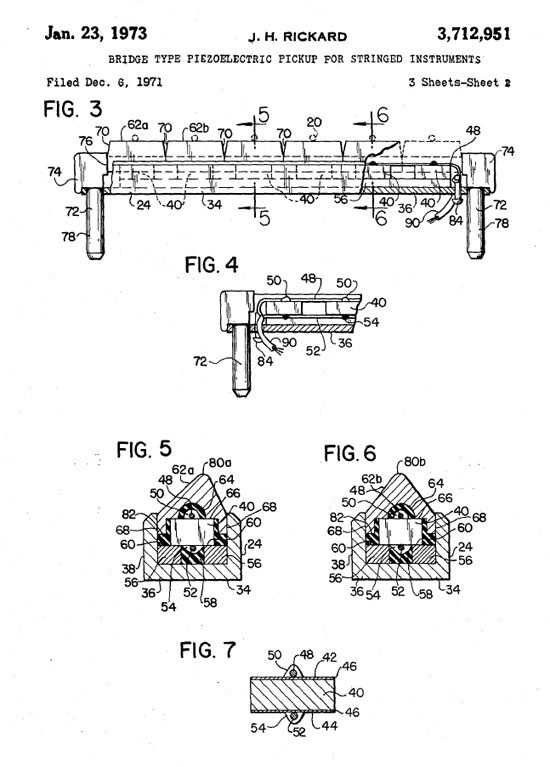 This was designed by Kaman Company engineer James Rickard in 1971, and patented in 1973. This pickup is still being used in the majority of Ovation acoustic electric guitars today. The benefit of this design was that the player got a clear electric signal from the vibrations of each string. Despite a slight “quack”, there was virtually little or no feedback at high volumes. 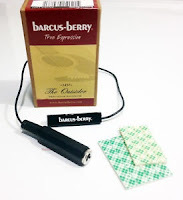 Compared to the Barcus Berry transducers of the day, that were taped onto the guitars bridge, this pickup was a huge improvement for players. 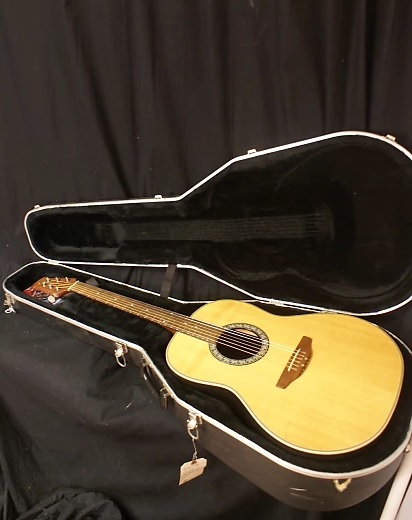 Subsequently many 1970’s bands saw the Ovation guitar as their go-to working stage instrument. 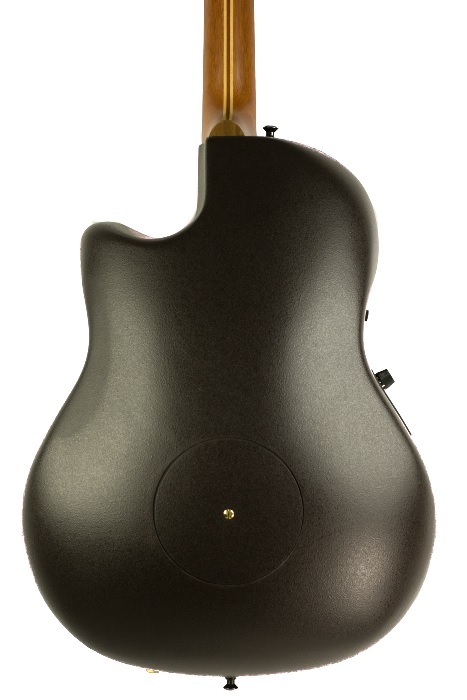 The Ovation piezo system came with a built-in preamp that was mounted inside the guitars body. The initial models had only a single volume knob mounted on the upper bout. Eventually this became volume, and a tone control, and then featured volume, EQ controls, and a built-in tuner. 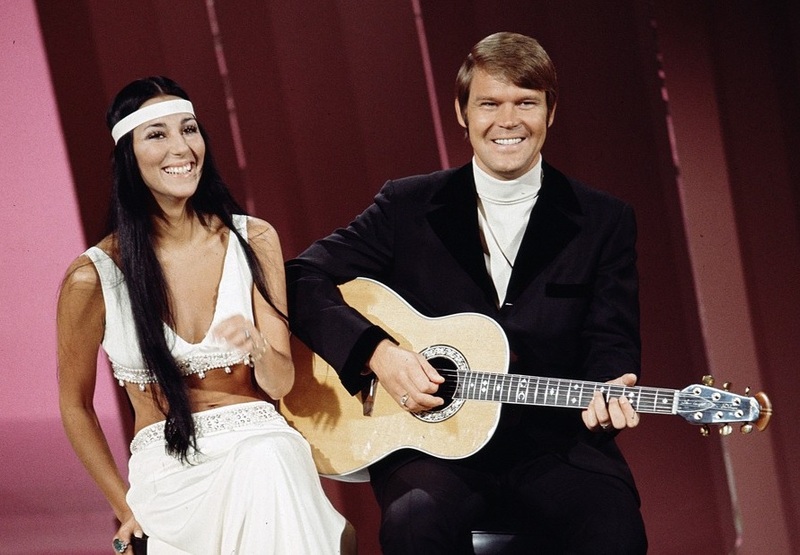 One of the original endorsers was Glen Campbell, who was loyal to the Ovation Company throughout his life. He introduced the Ovation guitar to the world on his TV Variety show. 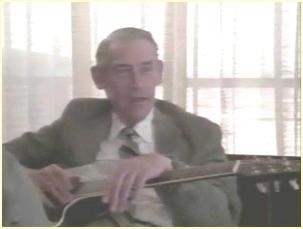 Campbell was originally using a Baldwin guitar in his concerts that had the Prismatone pickup. Kaman told him he could build a better guitar, with a better pickup. At one point Campbell suggested that they reduce the size of the Lyrachord bowl, to reduce back strain. The shallow bowl Ovation was invented from this idea. 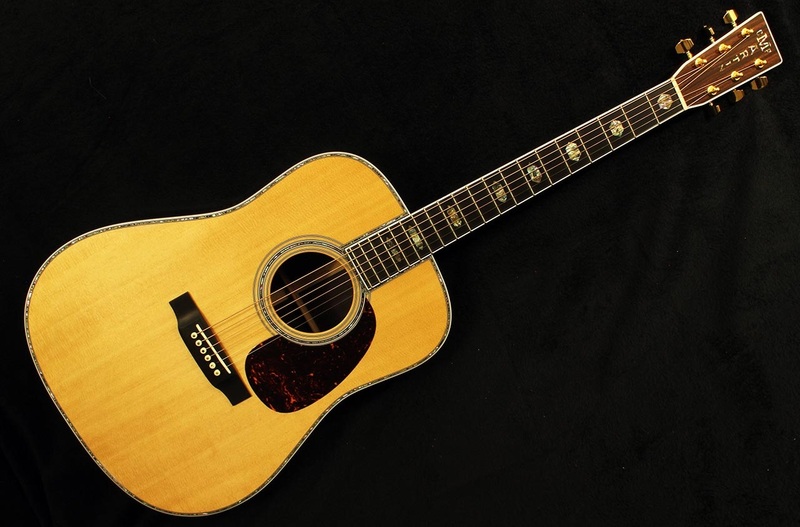 The Super Shallow model 1867 Legend was Robert Fripp's preferred acoustic-electric guitar. During the 1970’s, This model became popular with electric guitar players. 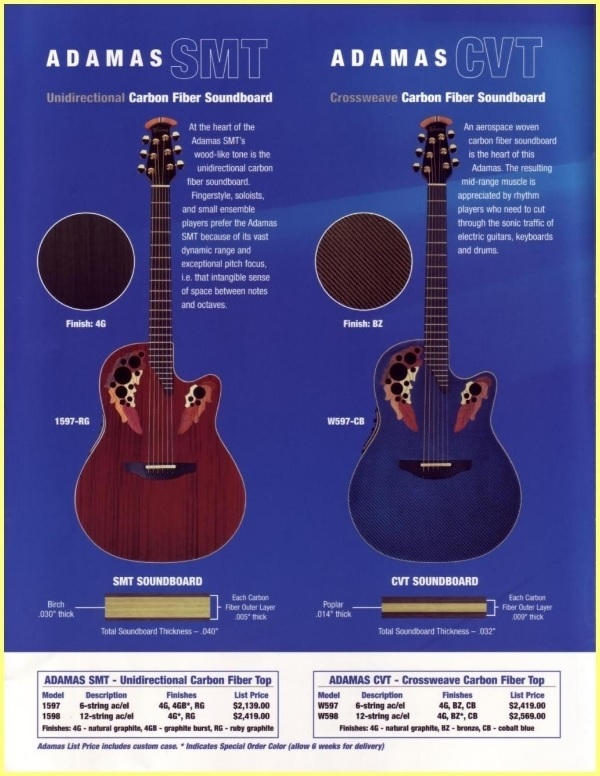 In the mid 1970's, Ovation was experimenting with soundboard material. They had been using solid Sitka spruce on their guitars, but in 1977 came up with a much thinner soundboard that was made of carbon based composite material, that has a thin veneer of birch. Instead of the traditional large round sound hole, this model had 22 small soundholes on the upper bouts of the guitar. This is said to produce greater volume, and allowed the bracing to be altered to aid in the top vibration. This guitar was named Adamas, from the Greek word that meant “inflexible, firm, long-lasting and unconquerable or invincible”. 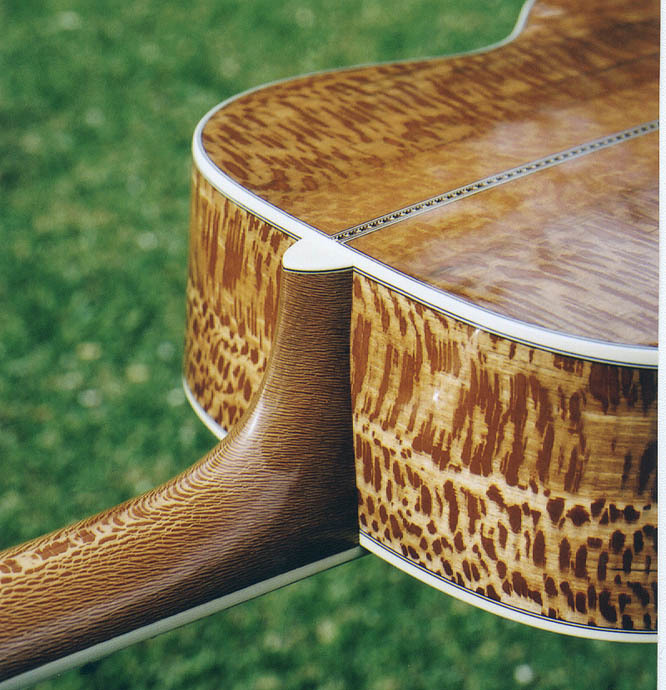 By reducing the bracing, Ovation was also able to reduce the guitars weight. 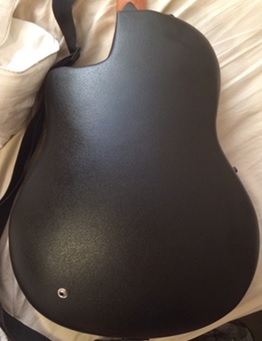 These guitar had a small hatch on their backside, to facilitate the battery. 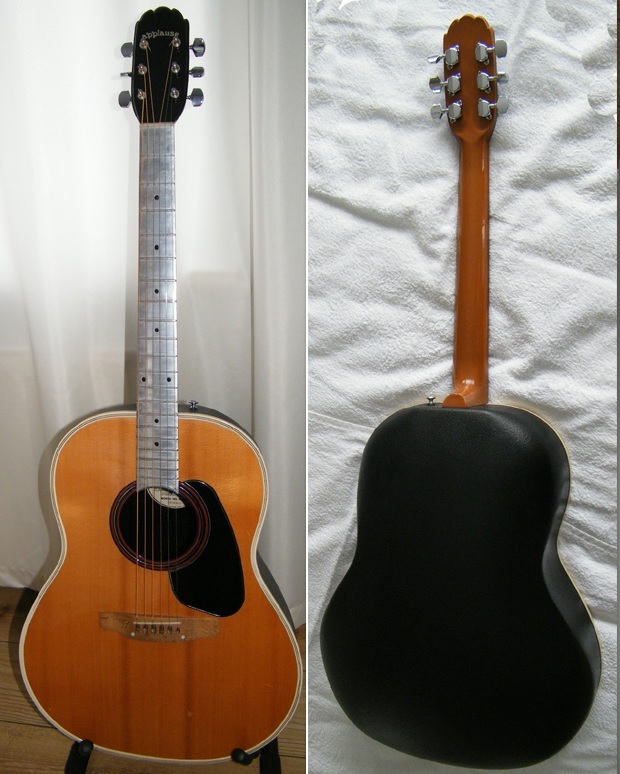 In the early 1970's Ovation came out with a budget guitar, that was originally produced in the USA, under the brand name Applause. The unique thing about this guitar was that the neck and headstock were made of a metal frame filled with polymer blend material. Another upgraded lower price point model was called Celebrity. This guitar line consisted of mainly laminated top guitar, but included some solid top model. All were built in China or South Korea. 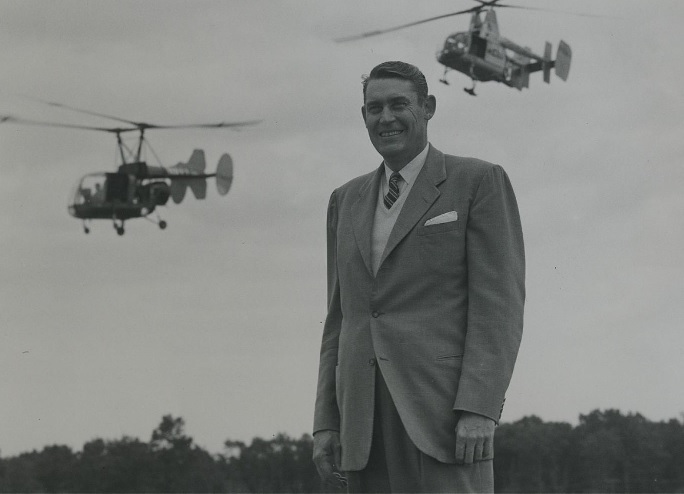 Kaman changed the name of their musical instrument division too KMCMusicorp, which was a subsidiary of Kaman Aircraft. Unfortunately in 2008 KMCMusicorp was sold to the Fender Musical Instrument Company, who was on an acquisition spree. At this time most production moved offshore, however some of the high-end models were still being manufactured at the Connecticut plant until 2014 when Fender closed the facility. A year later Drum Workshop, the company that builds DW Drums purchased the Ovation name and the factory, and reinstated manufacturing. Currently Drum Workshop has reopened and restaffed the New Hartford, Connecticut plant where the high end guitars are made. The Applause Series, and some other Ovation models are outsourced to Korea and China. Also outsourced are the Elite, and Celebrity series guitars. the Collector series, and some Signature series models. There are ten Custom series guitars that are built at the New Hartford plant. Aside from Glen Campbell, there are some prominent Ovation users. Melissa Etheridge has played Ovation 12 and 6 string models throughout her career, so has Kaki King. Richie Sambora is known for his use of the Ovation double neck model. 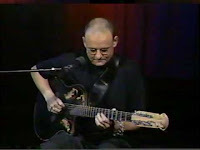 Dave Mason played a 12 string model for much of his career. 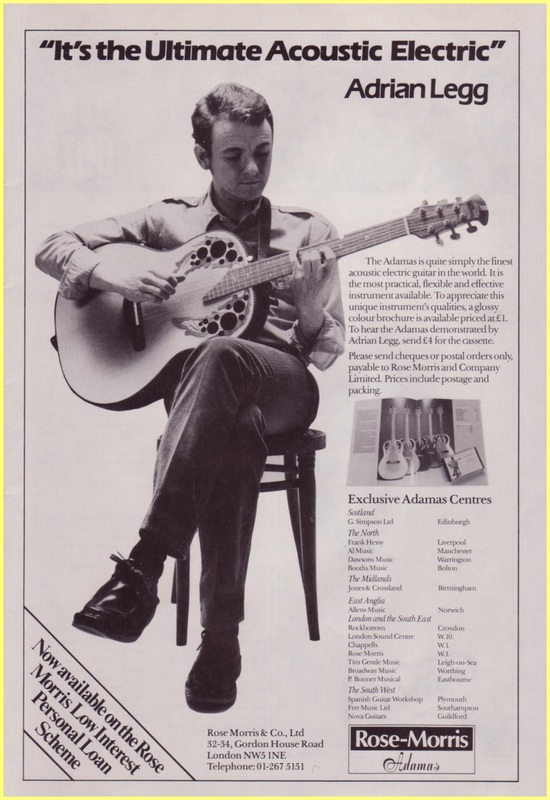 In his younger years Adrian Legg played a six string Adamas model, also French guitarist Marcel Dadi, played his Adamas model. The list goes on. I need to make an important distinction. 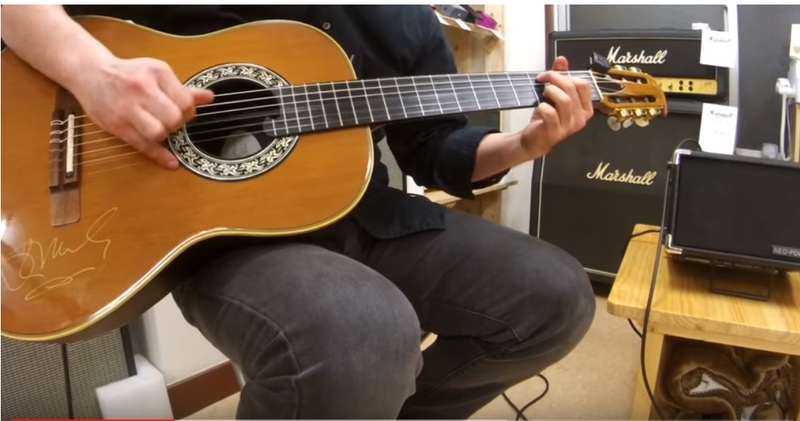 There are beautifully crafted guitars that can be played at home or in small settings. Luthiers have spent years developing these lovely instruments. 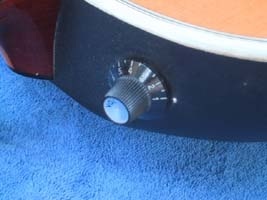 But there are stage guitars that are adaptable to large settings, usually due to their built-in electronics. These include Takamine, Maton, Ovation, and some Taylor models. These instruments may not sound as sweet as a Martin D-45, when played acoustically, without amplification, but sound great on stage. 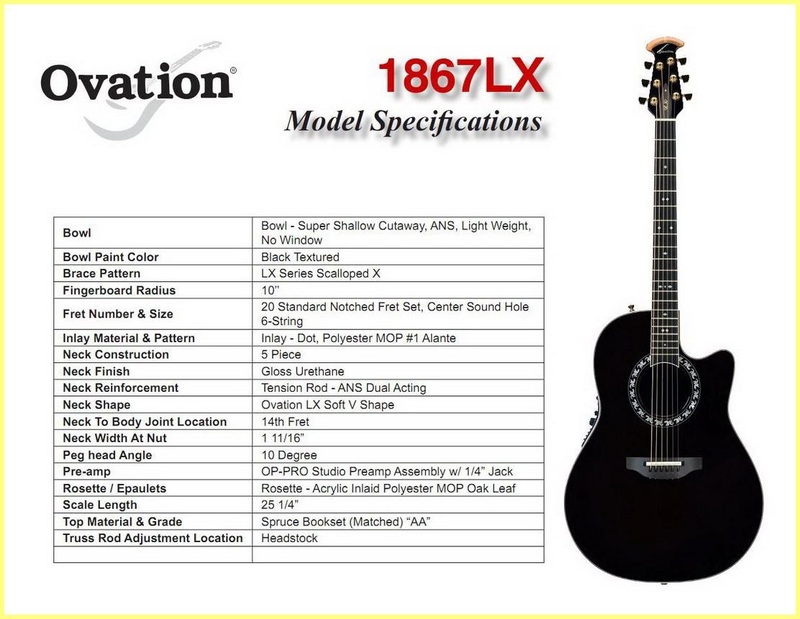 It is this fact that first drew performers to chose Ovation guitars. 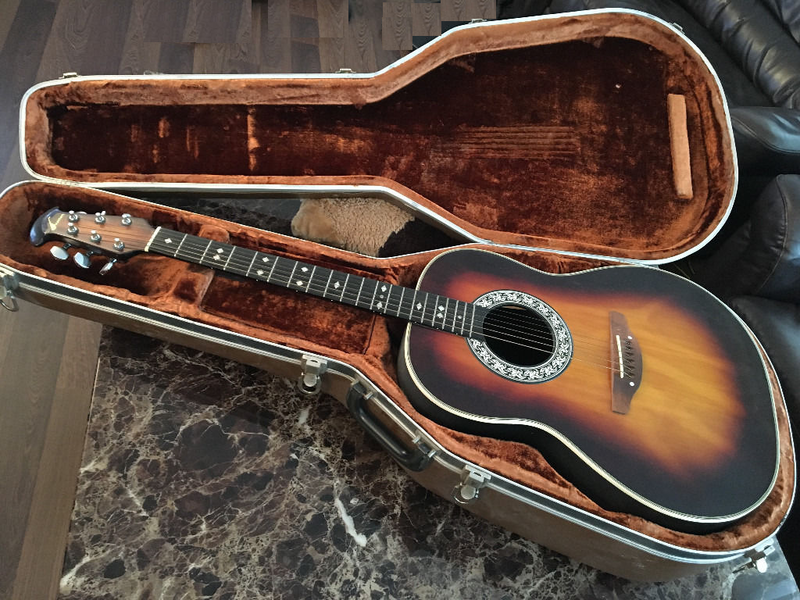 I own a 1973 Ovation Classical electric model 1713, that after 45 is still a great guitar. I've seen and played some really fine Ovation, and Adamas guitars. I have played one of the original Applause guitars with the metal neck. It was so-so, but a great beginner instrument. I've seen some nice Celebrity guitars, and I've seen some produced during the Fender era that were terrible, with inner neck joints that were raggedy and sub-standard. 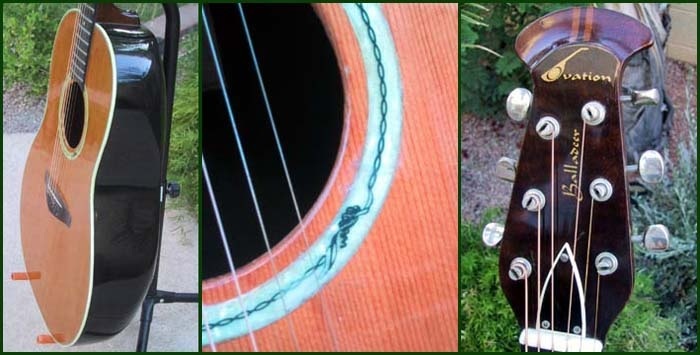 One older Ovation that a friend owned had a patterned green finish, and was the ugliest guitar I've ever seen. On the other hand, I've seen some low end Martin guitars, that I thought were downright shameful. And they retailed for starting in the six to seven hundred dollar price range..
Ovation has invested a lot of engineering skills in turning out some fine guitars. I appreciate that. One last thought is that vintage Ovation Guitars, do not increase in value, the way some other brand name guitars do. I suppose that is due to the desirability factor. 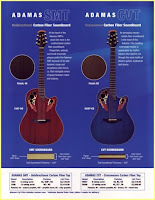 So there may be some great bargains on Ovation acoustic-electric models. Click on the notes below the images to see my sources. Click on the notes in the text for further information.